Mom deserves the best, right? She does so much for so many all year long and that’s why you might want to plan a delicions Mother’s Day picnic brunch. She will appreciate not having to cook dinner and she may want to just stay home, surrounded by friends and family and the family swimming pool! You may want to start her day with breakfast in bed, but sometimes breakfast in bed is an uncomfortable affair with a dinner tray that threatens to topple over any time someone on the bed moves. Why not just have a light breakfast then go all out for the brunch? May 12 is Mother’s Day this year and there is no time like the present to begin planning her special day. If you know her well enough, feel free to plan a surprise brunch. If you’re not quite sure where to begin and if planning a brunch isn’t something you’re great at — ask Mom (your wife) what she’d like. She may want a houseful of guests. She may want to invite her mother and your mother and even some friends from who no longer have moms to celebrate with. It’s all right to ask mom for her input, just don’t leave all of the planning up to her! Restaurants are crowded. If you have toddlers or even teenagers, spending time in a restaurant with them may not be as fun as you would have hoped! Having a picnic day brunch poolside is sure to please everyone from young to old! Also, when you’re planning a poolside brunch celebration for Mom, get the kids involved. No matter their age (unless they’re infants, of course!) they will love to be involved and you can find little tasks they can participate in that will help them feel a part of the entire day. A benefit, we think, of brunch is that you don’t need to get up at the crack of dawn to host a Mother’s Day breakfast. Mom can sleep in and have a leisurely morning. If you plan a dinner, then you may be rushing your guests out the door so you can begin the clean up and getting the kids ready for bed. Brunch is the best of all worlds. Mother’s Day means so many things to so many people. If you have young children, Mother’s Day is a way to thank Mom for all she does. If your Mom is no longer with you, it can be a day to honor her memory while spending time with loved ones. You may have friends who don’t have any Mom still with them and their children may live out of town — invite them over to enjoy the brunch. Empty nesters with children who live out of the area can also enjoy Mother’s Day together and spend some time on video chats with far flung children and grandchildren. Let Mom know you’re planning it BUT that you have everything under control. Sure you may her input and she may want to give input — let her, but make sure you’re the one who cooks and cleans up! If you know she’d want the house cleaned before guests arrive, either you and the kids can do that or hire a cleaning service as a one-day treat for Mom! Take her out of the house, let the cleaning crew do its work then come home to a spotless home. Does Mom have a favorite color? Does Mom have a favorite flower? Does Mom have a favorite movie? Does Mom have a favorite vacation spot? Does Mom love a specific sport? While you don’t have to go overboard, if you can drop some of Mom’s “favorites” into the day you will truly make her feel special. If she loves roses, plant some around the house or buy her a huge bouquet. Use potted roses to decorate the poolside space and let her plant them where she wants later. Know whether Mom wants guests or if she just wants to have immediate family for the brunch. Once you know that you can either send out invitations in the mail, you can email invitations, text them or even call guests. Sure, etiquette mavens will tell you not to email, text or call but that is the way many people communicate today. Although if you’re inviting her Mom or your Mom you may want to be more traditional and mail them an invitation — they’d appreciate it. What will you eat at the brunch and will you want guests to help with some of the sides? If you’re inviting family members and they offer to bring a dish to pass, let them! You can be responsible for the meat or the biggest part of the meal. If you’re grilling burgers, steak, hot dogs, salmon or chicken or both, look for sides that with that. Don’t forget to cook Mom’s favorite foods and make sure she has her favorite sides and don’t forget dessert! Serve cut up veggies and fruits and chips and dip for your guests to snack on while they visit poolside and wait for brunch to be served. Look at the seating area and make sure you have enough tables and chairs for all of the guests. Invest in high quality paper plates and plastic utensils. You don’t want to spend the entire afternoon doing dishes, right? Even if you rarely use disposable plates and utensils, this may be a time to do that for your peace of mind. Pick up plastic table clothes that can be reused throughout teh summer. Use hotplates if you’re going to have sides that need to be kept warm. 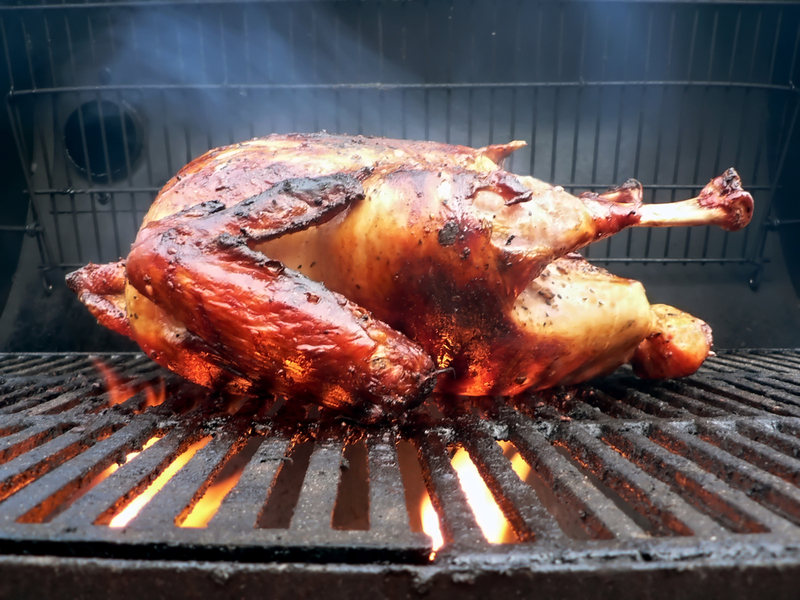 If foods need to be finished off, pop them in the oven indoors and let them cook while you work your magic on the grill. If you’re looking for a delicious dessert idea that’s easy. 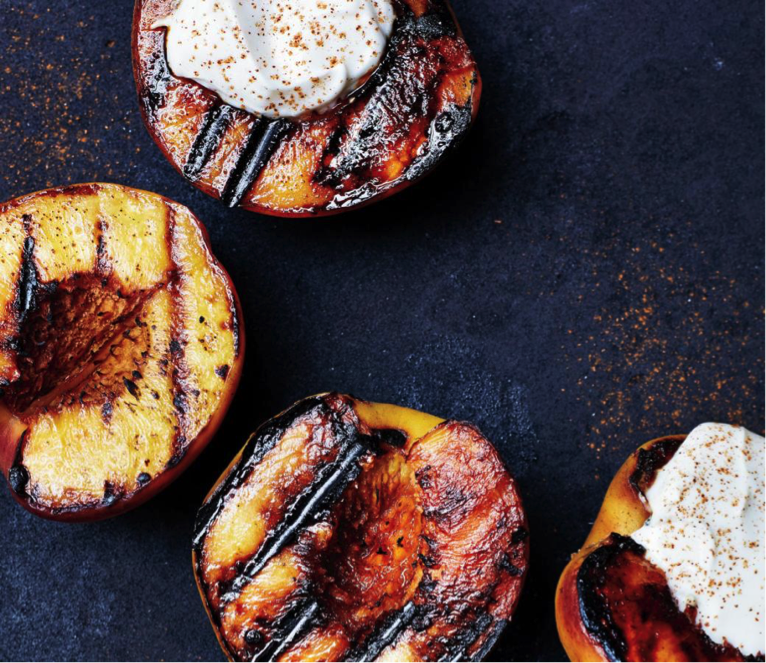 Slice peaches, remove the pits, drizzle with honey and place fleshdown on the grill. Grill them until they have grill marks and are a bit warm. Serve with a scoop of vanilla ice cream in the middle. Yum! Grilled pineapple is also a delicious light dessert. 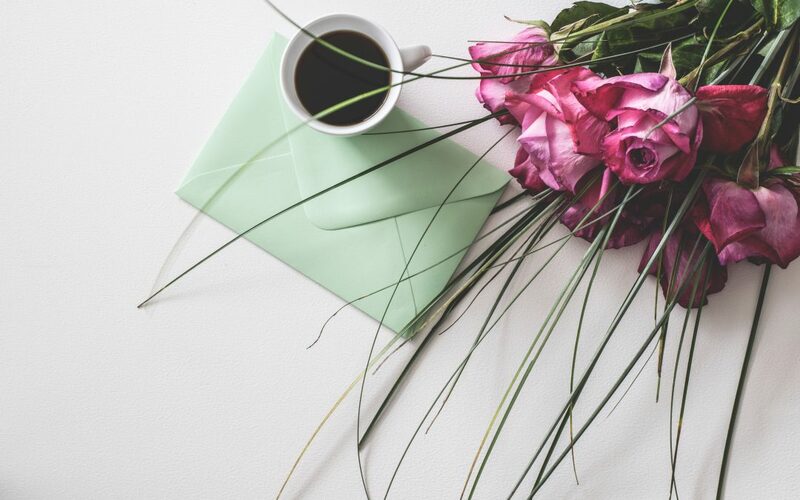 What do you have planned for Mom for this Mother’s Day?